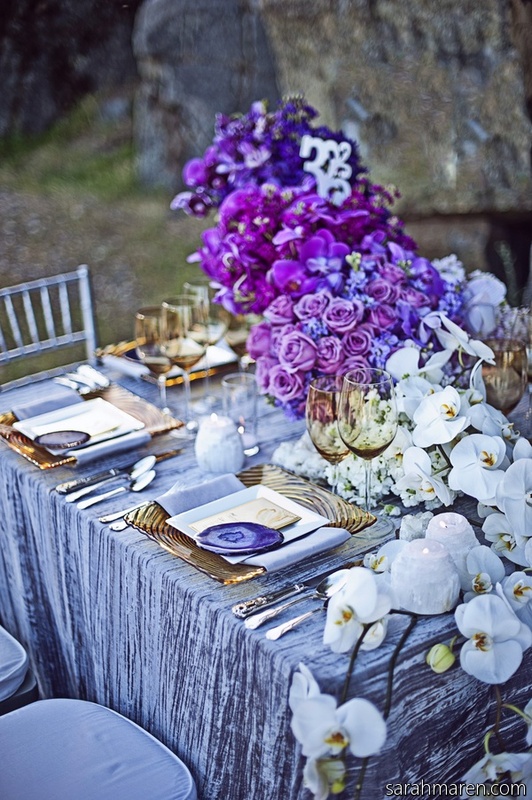 I absolutely ADORE this purple, teal and cream tablescape. There is just too much to love. Let’s start with he teal dipped silverware handles and then make our way up to the soft teal textured plate on top of the creamy charger plate. 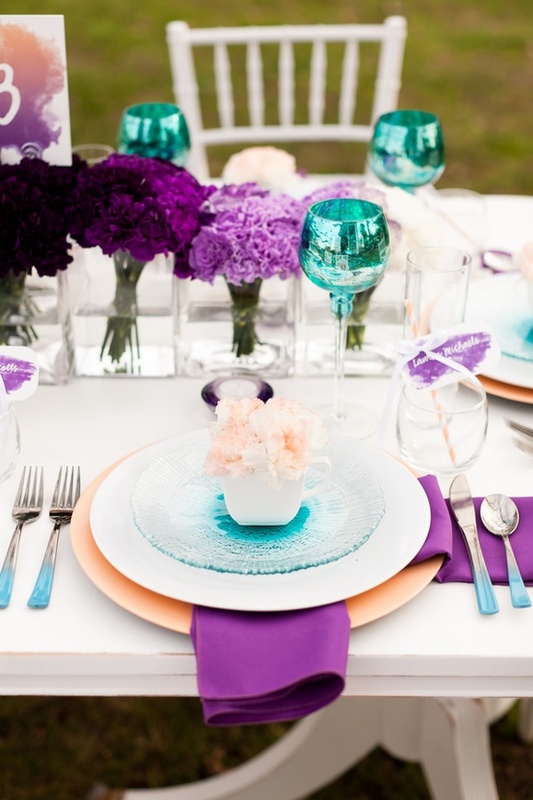 Then move up to the stemless glasses with purple place cards tied on to the purple cream stripped straws. 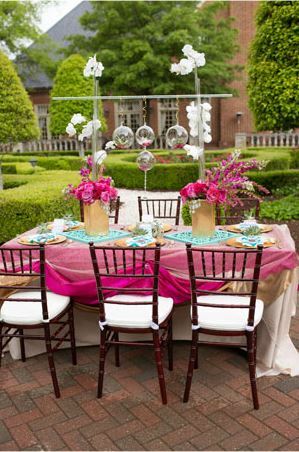 Then the teal crackled glasswear….fabulous. 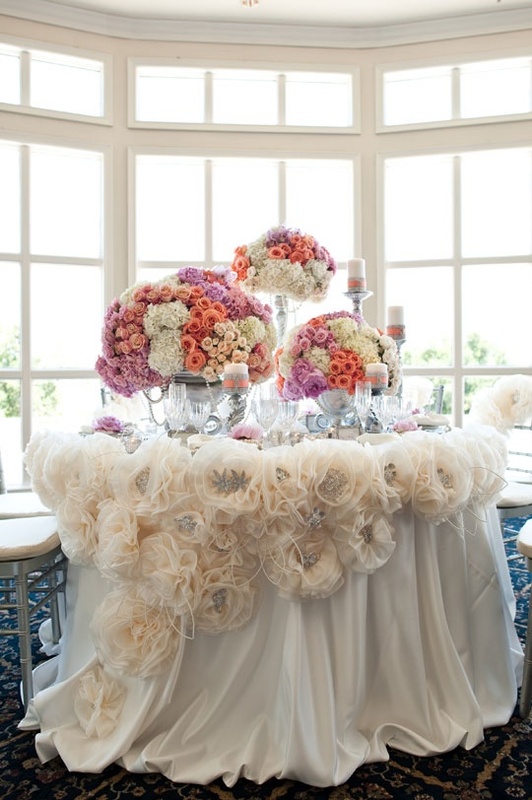 Top that with an ombre centerpiece made entirely out of carnations and finish it with a small cream arrangement placed on each plate. Utter Perfection. 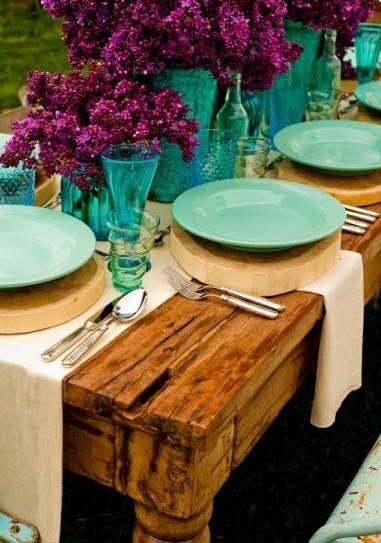 Where can I find the teal wine glasses pictured here? Thank you so much for your time!